I send you a postcard. All the postcards i received from Guatemala. 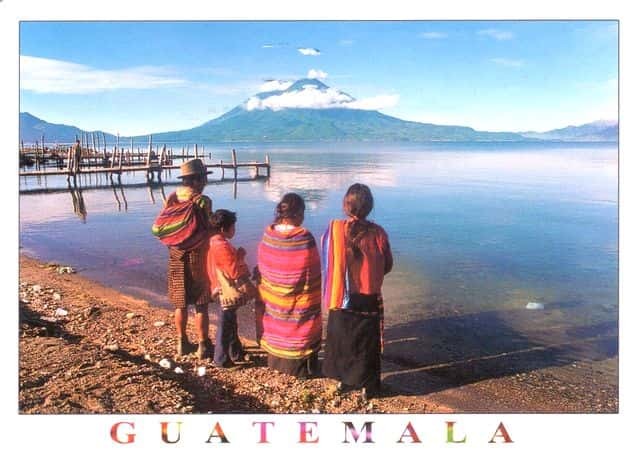 Guatemala, officially the Republic of Guatemala, is a country in Central America bordered by Mexico to the north and west, the Pacific Ocean to the southwest, Belize to the northeast, the Caribbean to the east, Honduras to the east and El Salvador to the southeast. With an estimated population of around 15.8 million, it is the most populous state in Central America. A representative democracy, Guatemala's capital and largest city is Nueva Guatemala de la Asunción, also known as Guatemala City.